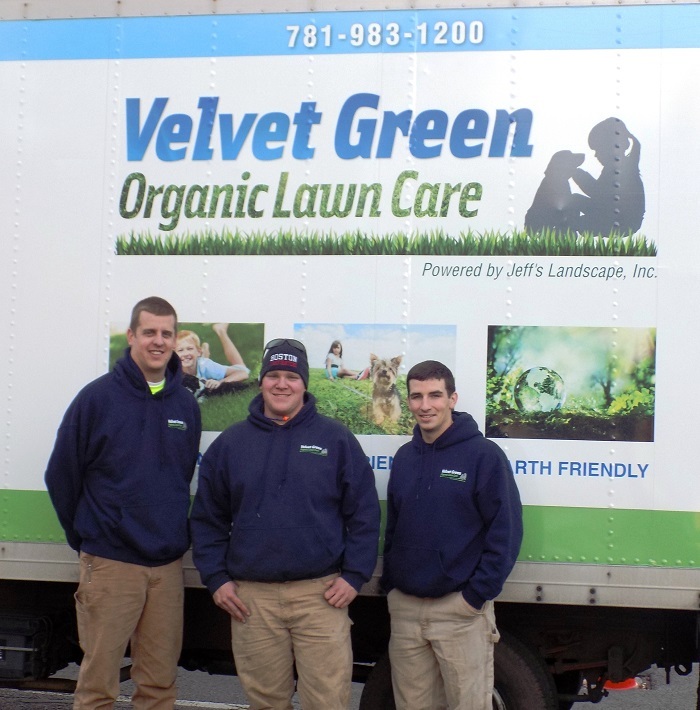 Jeff Dodge, left, owner of Jeff’s Landscape, Inc. and Velvet Green Organic Lawn Care in Wakefield, has acquired Safe Mosquito Removal, an environment and pet/human-friendly mosquito control company. Joining him in making the announcement are Paul Watts, center, and Dan Hancock, right. 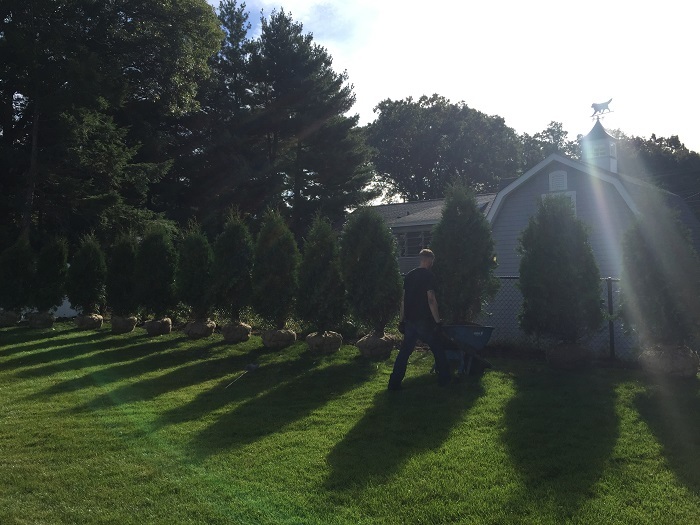 (Wakefield, MA) – Jeff Dodge of Jeff’s Landscape, Inc. and Velvet Green Organic Lawn Care in Wakefield, has expanded his line of services with the acquisition of Safe Mosquito Removal, an environment and pet/human-friendly mosquito control company based in Reading, Massachusetts. 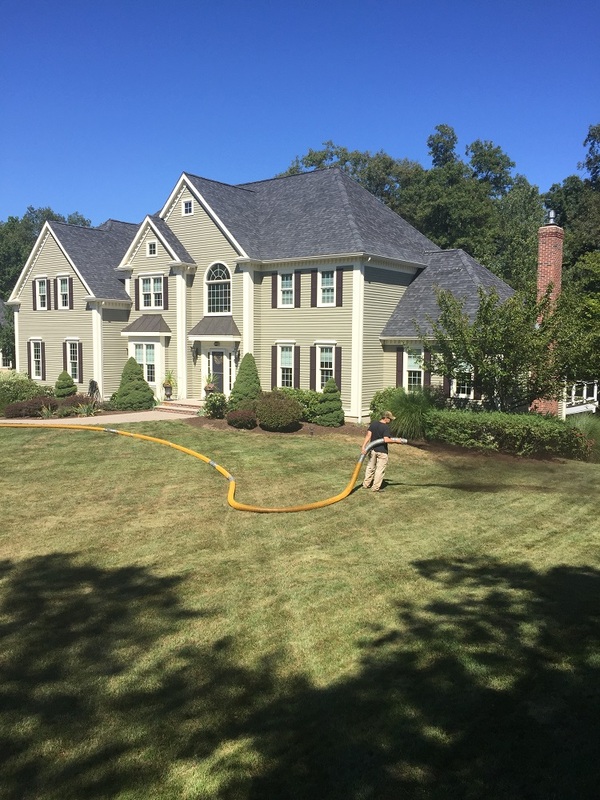 According to Dodge, the purchase of Safe Mosquito Removal is a natural fit for Velvet Green Organic Lawn Care and Safe Mosquito Removal customers. As part of the expansion, Dodge has also retained the services of the former owner who will continue to service his customers. 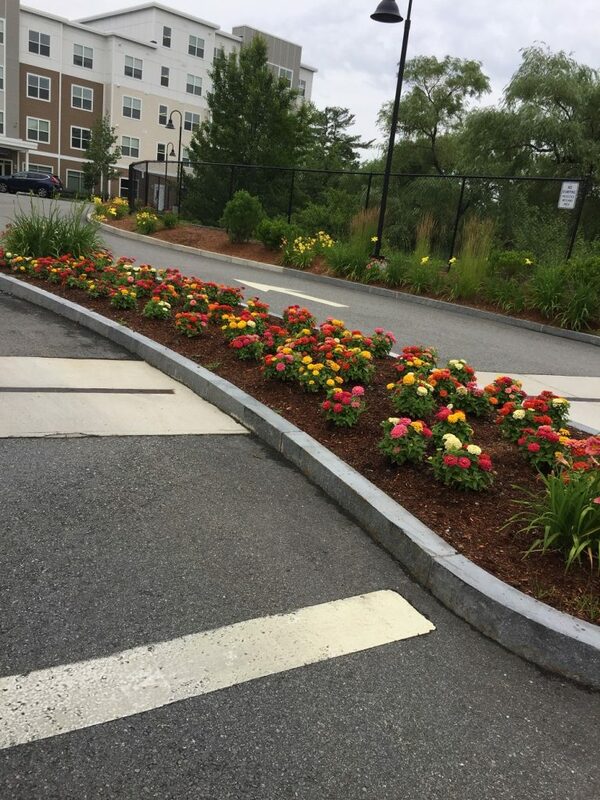 The newly expanded line of services will enable customers to have all their lawn care and maintenance needs met by one company, if they so choose. 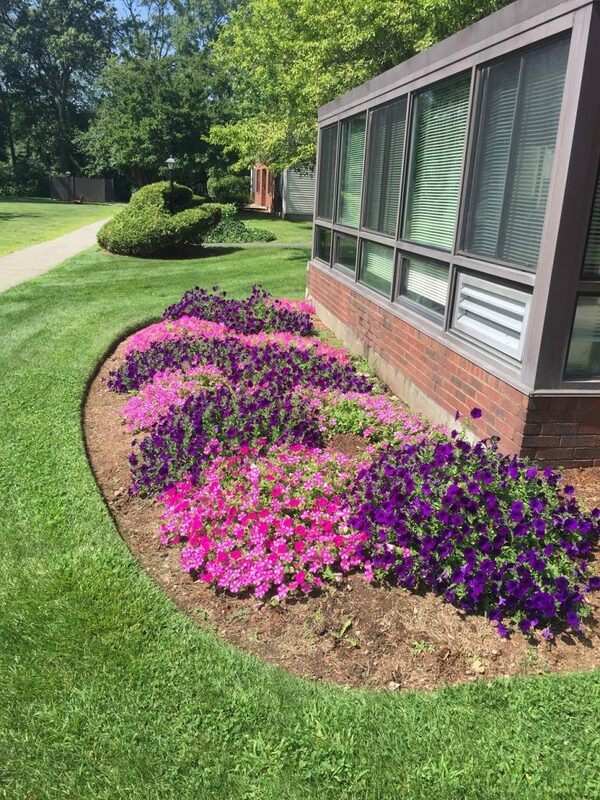 Dodge will be contacting Safe Mosquito Removal customers, as well as Velvet Green Organic Lawn Care customers before the start of the spring season. For information about the expanded line of services, please call (781) 983-1200. 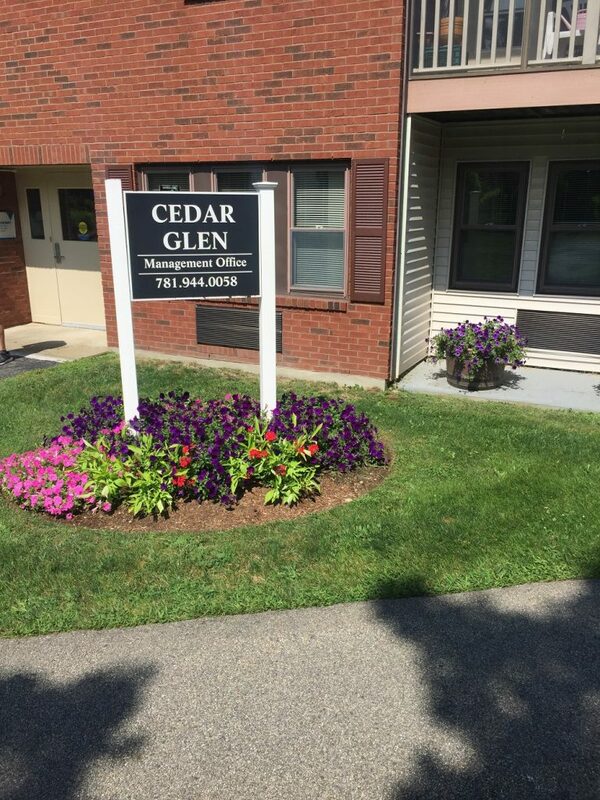 Now serving Wakefield, MA and surrounding areas! Now serving Reading, MA and surrounding areas! Call (781) 983-2323 or order online now! Serving Wakefield. MA and surrounding towns! 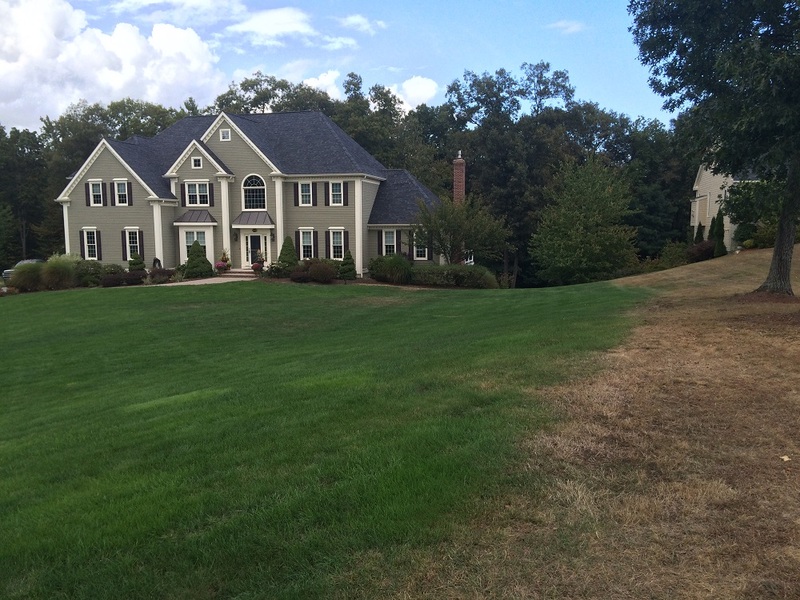 The North Reading, MA neighbor on the right did not do aeration/over seeding/top dressing and the customer on the left is seeing fantastic results from the Jeff’s Bee Safe organic fertilizer program!